Monsel's solution (20% ferric subsulfate) is used for hemostasis to wounds caused by excisions of skin. Monsel's solution produces artifacts which can be troublesome if rebiopsy of a lesion is necessary. 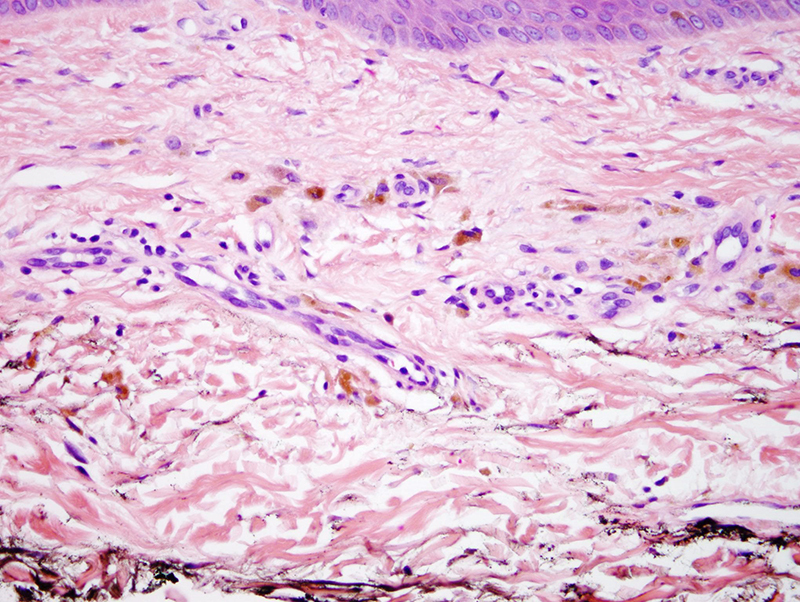 Histologically it is associated with ferrugination of fibrin, dermal collagen, and striated muscle fibers. Siderophages can be present in these areas and can form sheets of large polygonal cells and multinucleated histiocytic giant cells containing granules and clumps of dark brown and black pigment. This pigment can stain strongly for iron (Perl's method). The tattoo produced can distort or obscure the underlying pathology. 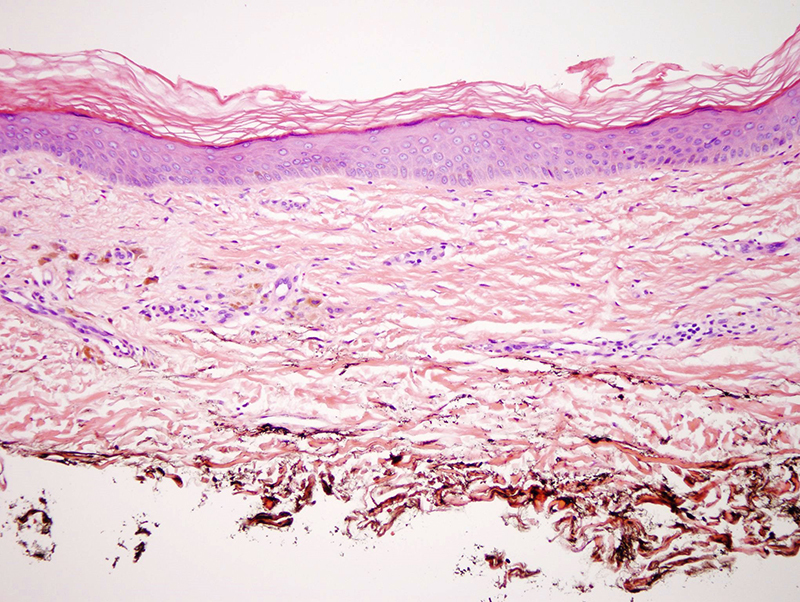 It may lead an unwary pathologist into the false interpretation of the depth of a melanoma, as such the use of Monsel's solution for hemostasis should be discouraged following biopsies of pigmented lesions or tumors which may prove to be diagnostic problems. Olmstead PM et al. Monsel's solution: a histologic nuisance. J Am Acad Dermatol. 1980 Nov;3(5):492-8. Wood C, Severin GL.Unusual histiocytic reaction to Monsel's solution. Am J Dermatopathol. 1980 Fall;2(3):261-4.